Sitting at her computer in the oversized studio apartment she shares with her boyfriend in Portland, Oregon, Melanie Lockert received confirmation on Dec. 10 that her ordeal was over: $81,000 in college and graduate school loans were finally paid off. She had two reactions. The first was an existential panic. “Who am I without debt?” the 31-year-old asked herself. Then a grin spread across her face. “I started dancing and screaming in my apartment. It was such an amazing moment, and I felt incredibly happy to be done with this,” she said. Recent college graduates might despair that their day of liberation is far away or might never come. But Lockert’s single-minded focus on demolishing her debt, particularly by accelerating her payments recently, provides a roadmap – and some hard lessons – for those facing a seemingly endless string of monthly payments. The above video qualifies as Personal Finance 101 – one critic dismissed it as nothing more than “common sense.” But that’s appropriate for the audience and worth sharing with teenagers and young adults in your life who are just starting on a financial path. 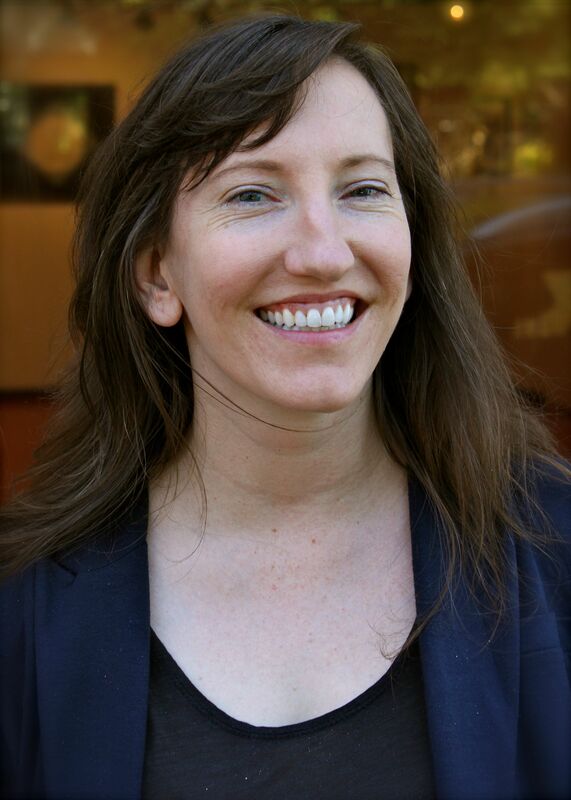 The speaker, Alexa von Tobel (three years before she agreed to sell her online advisory company to a major insurance company for millions of dollars) provided common sense goals for people who get their money the old-fashioned way – one paycheck at a time. Have an emergency savings account. Strive to become debt-free. Pay credit cards in full. Some Boston University students cruise city streets in their BMWs or Lamborghinis. Three of Donald Trump’s five children have joined the family business so far. And the financial media are full of useful advice for parents who might want to buy a house for their adult offspring. Nature versus nurture? Not surprisingly, nurture won out when researchers applied this question to who has more influence on the wealth of young adult Swedes who were adopted as children – their biological parents (nature) or their adoptive parents (nurture). Brandi and Frank, the hypothetical couple in the above video, are drawn from extensive nationwide interviews with real Americans who work extremely hard, live modestly, and carry their financial anxiety through the day. Ten of these families were also featured in written profiles by the U.S. Financial Diaries project. Like millions of working Americans, these families are buffeted by economic forces ranging from stagnating paychecks to a scarcity of employer benefits in low-wage jobs. The project identified common traits running through their financial lives. They are continually trying to improve their lot, with education or by taking on extra jobs and by saving. Retirement saving, however, is a luxury – their saving is done to pay the unanticipated emergency or surprise expenses that inevitably crop up, according to the Diaries, a joint project of New York University’s Financial Access Initiative and the Center for Financial Services Innovation. Saving for the short-term is also necessary because their sources of income can be erratic, requiring tricky rearrangements of their household resources. When they incur on-the-job expenses, employers’ reimbursements are often slow to arrive. Their monthly expenses often exceed monthly income, which can lead to late payments of utility bills or delays in medical treatment. The adage that money won’t buy happiness has been proved wrong – at least up to a point. One famous study found that one’s well-being increases as income rises, though the benefits subside around $75,000 per year. But what about the reverse? Do people who are happy earn more money? Yes, say two British economists. Their study in the Proceedings of the National Academy of Sciences concluded this after following American teenagers for a more than decade through the National Longitudinal Study of Adolescent Health. In 1994 and 1996, this survey asked high school students to react to statements like “You were happy” and “You felt hopeful about the future.” In a 2008 follow-up survey, when most of them were around age 30, they were asked how much money they were making. The job market appears in fine form. August’s unemployment rate, at 5.1 percent, is now at half of its Great Recession levels. But while the media latch on to the unemployment rate in the federal government’s monthly jobs reports, economists like Gary Burtless of the Brookings Institution are interested in a different number that’s also part of the monthly update: labor force participation among people in their prime working years, ages 25 through 54. They are the heart of the labor market, and the trend in their participation rate paints a bleaker picture of the job market, Burtless noted in a recent report. In August, the rate was just 80.7 percent – and still below the 83 percent level prior to the 2008-2009 recession. 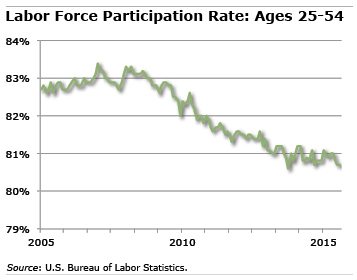 Labor force participation is the percentage of Americans working or looking for work. It’s critical to how the job market’s faring, because when it declines it means that even people in their prime working years are giving up on finding a job, indicating underlying weakness in the job market. On a brighter note, the percentage of prime-age workers who have jobs is rising, though this also remains below pre-recession levels. A popular assertion these days is that young adults paying off student loans can’t afford to buy a house. This might be the financial equivalent of Chicken Little. Contrary to concerns that the sky is falling – or, rather, the first-time homebuyer market is falling due to student debt – a new study finds very little evidence to support this view. The researchers tracked the home-buying behavior of more than 5,000 college-going young adults for a full decade through the National Longitudinal Survey of Youth. They confined the analysis to people who attended college – graduates and non-graduates alike – in contrast to previous research that compared the behavior of all young adults and found that borrowing got in the way of homeownership. The new study actually found they were slightly more likely than non-borrowers to purchase a house. But this could be due to the fact that the borrowers tended to be the type of people who persist and complete their degrees, attend more expensive schools, and possess other socioeconomic advantages. This comparison of borrowers and non-borrowers still didn’t settle the question of whether the probability of owning a home actually decreases as the level of student debt rises. When the researchers further narrowed the analysis only to individuals who held student loans, they found no relationship between the amount of money borrowed and the probability of homeownership. “If you have $30,000 in debt you’re no less likely to buy a home than if you have $3,000 in debt,” said one of researchers, Jason Houle, an assistant professor of sociology at Dartmouth College.